As information technology grows, the use of electronic books or digital books (e-books) is increasing. Of course, this growth was followed by the increasingly diverse e-book reader, the e-book reader. With the help of this tool, we not only read digital books but also seem to have our library. Because equipment in the form of tablet computers can save thousands of digital books, with a thin and light size, users can carry readers of this book anywhere. If you say digital book readers, it might not deny the role of the Kindle. This e-book reader developed by the Amazon online book store website (www.amazon.com) is one of the first digital book readers in the world. As a result, until now the Kindle still dominates the e-book reader market. The first Kindle was launched in 2007. Until now, Amazon has released some Kindle versions. The latest version is the Kindle Fire. This device has a screen with IPS LCD technology with a resolution of 1,024×600 pixels and measuring 7 inches. It costs the US $ 199 or for Rp. 1.8 million. Unfortunately, book enthusiasts in Indonesia find it challenging to catch the Kindle on store shelves in the country. If there is also, the price is much higher than the official price tag. Well, this equipment can only be purchased online at Amazon. Reportedly, Amazon is preparing to introduce the latest e-book reader, which is said to be lighter and brighter irradiation. The new device will also support a colored display. Because, on the previous version of the Kindle, the screen is still black and white. This color display can be more unique to consumers. Because not a few Kindle users have long complained because they have to put extra light when listening in the dark. This latest Kindle will also have an E Ink or electronic ink touch screen that doesn’t need light. The screen display is very similar to white paper. With this technology, users can read digital books more comfortably, and the eyes are not easily tired despite listening in long periods. tablet, notebook or cellphone, the screen will look unclear when outside the room or in the sun. Not only that, but Amazon will also apply the latest Kindle with support for 3G or WiFi connections, making it easier for users to explore or download digital books wherever and whenever. Even though it hasn’t been discovered how much Amazon will sell this newer Kindle version, news circulating the price won’t be too far contrary to the previous version. Next, to the Kindle, the e-book reader that might be glanced at is the Sony Reader. This one electronic book reader is the lightest because the weight is only about 0.1 kilograms. The touch screen also uses E Ink Pearl V220 technology with a resolution of 800×600 pixels. To have this device, you spend quite a lot of Rp. 1.1 million. With such a price, you also get some electronic books published both domestically and abroad. Another reader of digital books is the Toshiba BookPlace DB50. This tool is based on Android 2.3.4 and is run by Linux. This Japanese product has a 7-inch touch screen with TFT LCD and a resolution of 600 x 1,024. Storage capacity reaches 8 gigabytes and has a WiFi connection. The battery’s capability for 7.5 hours weighs merely 330 grams. Toshiba opened the BookPlace owner’s access to the Toshiba BookPlace store to watch and get around 43,000 digital books and the latest magazine published in Japan. Besides, there are still some digital book readers like Nook WiFi, Kobo Reader, and Pandigital Novel. Don’t forget the tablet computer like the iPad and Samsung Galaxy, which can be used to read digital books. If you are having trouble buying this imported equipment, you don’t need to bury your hobby of reading digital books. Because Kompas Gramedia Group plans to create an e-book reader. Deputy Director of Kompas Cyber ​​Media, Edi Taslim, said that his party together with one local vendor and one foreign vendor would produce digital book readers. This tool will be introduced this year. This business group is preparing its payment gateway to serve e-book purchase transactions online. This will spoil all digital booklice. HideMyAss! (HMA) Is one of the best-ranked VPNs with many reasons. This VPN offers encryption of military learning space, a robust global network of servers, high speed, and responsive customer service. 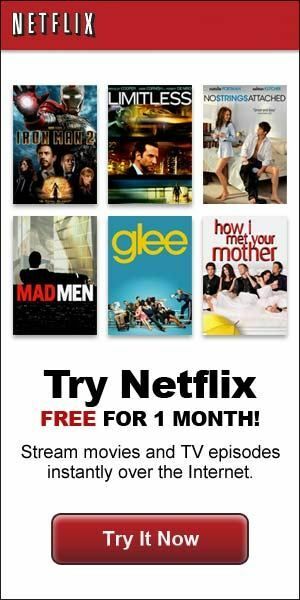 Being able to unblock Netflix and other famous content is closed geographically with intuitive, user-friendly software. However, VPN is not one size that fits all, and its features that are important to you may not be as attractive as others. At vpnMentor, we believe that the best VPN is probably something that best fits your needs, regardless of what is mentioned new reviews and users. Furthermore, even though there are not a few positive sides, HMA has disadvantages, especially if total privacy is our number one reason for using a VPN. In one case, HMA admits that they have stored some usage records temporarily. Because this provider is based in the UK, precisely the Five Eyes country, this is an apparent problem in the sense that law enforcement and intelligence services can request access to VPN data files. This provider acknowledges that stored information is not good enough to associate an activity with you, but it is open to provide a problem with your anonymity when choosing a VPN. In providers like NordVPN that don’t store a list at all, you can get VPN services without taking risks. Have we tried HideMyAss! And don’t like it, or again considering registering for this service but still have some questions, we are here to help you evaluate all your choices. Check out more comprehensive information about the strengths and weaknesses of HMA, as well as VPN services by offering better features for your needs and excelling in specific locations. If we need to create a quick decision, this is a brief overview of some favorite services that can compete with HideMyAss! – or in the affairs of three top VPNs, consistently beat HMA in our tests. NordVPN offers cross-platform, user-friendly, large network software and top-notch security features. This VPN is almost flawless and is good at unblocking content, giving us easy access to Netflix, Hulu, BBC iPlayer, and not a few more. ExpressVPN gives us ultra high speed, simple software for all platforms, and encryption of military study rooms. This is not a very cheap service, but the majority of users see it worth the price thanks to the top streaming performance in the industry and the use of torrents. CyberGhost has a growing network of servers, user-friendly software, and the most affordable packages for a premium VPN. CyberGhost can work on almost everything that is worked on by HMA and not a few that do not have HMA, classified as protecting our anonymity with intelligence without strict registration. Subscribing to one PrivateVPN will allow us to protect up to six equipment simultaneously, and the service offers spectacular value for your money. IPVanish is a robust VPN provider that offers strong encryption, up to 10 simultaneous connections, and 40,000 impressive IP addresses. We like HideMyAss! Shows a row of software that uses military learning space encryption. HMA has servers in 280 places in all the world with amazing 110,000 IPs, you can protect up to five more equipment with one subscription, and its features are impressive. Nonetheless, we aspire that the choice of subscribing to HMA can be somewhat more. Other premium VPN services offer 18 months, 2 years, or even 3 years contracts, with progressively more significant discounts. Subscribing to HMA is very long one year, which means that a reasonably large discount is not available. So if you want a long-term subscription, you can get better offers among our other top providers. It is also necessary to mention that HMA stores data records of around 30 days. The provider stressed that the list was only saved for the destination of the diagnosis, and was solely for users, periods of connection, and duration of the sessions recorded. There is no information about the website that we visit or our downloaded files that are stored. However, given that HMA is based in the heart of the Five Eyes area, the existence of a list of things is also far from the ideal word. If full anonymity is your highest priority, consider a VPN provider that follows tighter intelligence without registration, like our first four options below. If your VPN usage includes using a torrent, you will be happy to understand that HMA allows P2P activities on its network. However, floods are given limits only to selected servers. As a result, HMA often cannot compete with download speeds like ExpressVPN’s. Attractive connection modes combined in HMA software – Instant Mode, Free Mode, and Location Mode – are probably really for you. You might like VPN software that can be easier to adjust if you expect an unbeatable setting and excellent technical skills. And finally, note that NordVPN and ExpressVPN are both useful in China if you spend time in Asia. Although it can sometimes break through the Great Wall of China, HMA does not work consistently in China, and now customers support does not offer any solutions. The Best VPN to Replace HideMyAss! NordVPN combines class A peace of mind features with high top-speed connections across server networks. Service aspects focused on users include easy-to-use software and excellent 24/7 customer service, with faster response times compared to what we usually get at HMA. Traffic is protected with 2048-bit encryption, and all software presents a breaker button and DNS security protection. NordVPN does not store a user list at all. There is a 30-day money back guarantee for new users, so in this matter, you can try the free service for 30 days. Just make sure we request a refund from customer service – available past direct chat – before the 30-day deadline ends. A free 3-day trial with full network access is available. In all of this, multiplied again with support for 6 simultaneous connections on one account (winning one of those allowed by HMA), it’s easy to see why NordVPN is VPN with bulk services with the best ratings from us. ExpressVPN risked its reputation at high connection speeds, and our tests showed that the delivery matched the promise. ExpressVPN can also easily break through the geographical blocks built-in streaming services like Netflix and BBC iPlayer. Applications are available for operating systems and mobile equipment. The app uses the industry-standard OpenVPN protocol, but you have the option of choosing a peace protocol that is the opposite of what you expect. ExpressVPN offers more than 2,000 servers in 90 countries. The price can be compared with the cost of HideMyAss! However, with higher speeds and channel separation features, which are not enough from HMA, you might find that ExpressVPN is better for you. ExpressVPN follows intelligence without strict registration. Customer support is 24/7, and the agents are responsive and most knowledgeable. New users can get a 30-day refund, without asking questions. For premium VPNs with the best value CyberGhost stays in this position with almost 3,000 network servers in 60 countries. Besides that, with significant discounts for long-term customers it will make it far more affordable. Even better, if you subscribe for 6 months or more, your package will be supported by a 45-day money-back guarantee. CyberGhost uses military study room encryption and does not store user lists. The cross-platform application is easy to use, includes a breaker button and leak protection, and uses a secure OpenVPN protocol as a standard. Only one subscription is allowed for up to 7 simultaneous connections – both devices are no less than you would get with HideMyAss software! See CyberGhost’s discussion to see how this VPN has risen in our rankings in recent years. With low prices and long distance installation assistance, PrivateVPN is an excellent choice for VPN starters. This VPN does not keep a list of users and can protect up to 6 equipment with one subscription. The network of servers is not extensive, only amounts to 100, but these servers are spread across all 56 countries in the world. PrivateVPN uses powerful encryption that is supported by the OpenVPN protocol and can quickly open geographically bounded content. With the price, the service is extraordinary, to the extent that customers like it. As you know, IPVanish has subscription packages that are similar to HideMyAss! A reasonable amount for both with weighted services high quality, but the subscription period is very long which is only available for one year. However, a year offering IPVanish is significantly much cheaper than HMA. Impressively, IPVanish specifically has all 1000+ servers encompassing more than 60 countries, eliminating all risks due to third-party interference. And if you have not a few devices, IPVanish might be for us – protecting 10 devices simultaneously with only one subscription account. Default IPVanish uses the OpenVPN protocol, but users can also choose IPsec / L2TP in the application. For new customers, you will get 7-day money back guarantee as a guarantee, but according to not a few positive reviews using this service, you probably won’t need it. A little warning: IPVanish is based in the United States, a Five-Eye State, and has submitted some user data to law enforcement authorities in the past. New ownership has convinced users of their intelligence without strict registration, but we have not been able to verify this recognition.